Meiji C-Mount adapter with 1.0X relay lens, for ocular tube mount. Meiji C-Mount adapter with 1.0X relay lens. 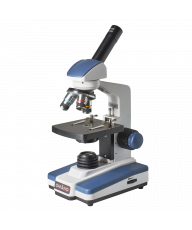 Appropriate for 2/3" and 1" sensors on Meiji microscopes that lack any trinocular capability, such as the EMZ-13VX, or in situations where attachment via the ocular is desirable. 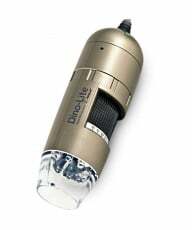 The 1.0X relay lens will give additional optical crop on sensors smaller than 2/3", which will give the appearance of additional magnification compared to the ocular view. 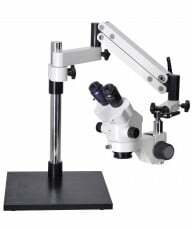 Note: fits ONLY Meiji binocular or trinocular microscopes in 30.5mm eyetube port. Replaces eyepiece. This adapter is not compatible with Motic MC1000, MC2000, MC3000 & MC5000 series digital cameras. Meiji C-Mount adapter with 1.0X relay lens. 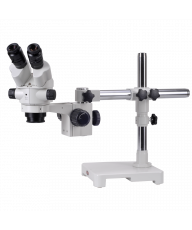 Appropriate for 2/3" and 1" sensors on Meiji microscopes that lack any trinocular capability, such as the EMZ-13VX, or in situations where attachment via the ocular is desirable. 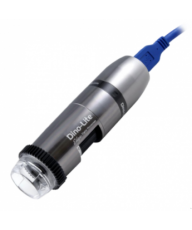 The 1.0X relay lens will give additional optical crop on sensors smaller than 2/3", which will give the appearance of additional magnification compared to the ocular view.Note: fits ONLY Meiji binocular or trinocular microscopes in 30.5mm eyetube port. Replaces eyepiece. This adapter is not compatible with Motic MC1000, MC2000, MC3000 & MC5000 series digital cameras.